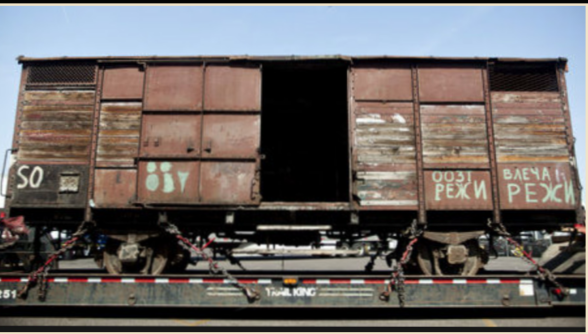 A Holocaust-era rail car from Macedonia will be on display at Chandler-Gilbert Community College (CGCC) Pecos Campus on Wednesday, March 30 from 10 a.m. to 4 p.m. The exhibit is part of a joint effort coordinated by CGCC, the City of Chandler and the East Valley Jewish Community Center (EVJCC) to educate students and the community about the Holocaust by promoting acceptance, social action and respect. 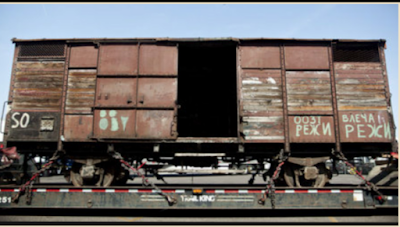 The 11-ton, 33-foot-long rail car is the type and kind that Nazi Germany used to transport Holocaust victims to labor and death camps during World War II. The exhibit utilizes Stanton's eight stages of genocide to teach viewers about how events like the Holocaust develop. As individuals learn and understand those eight stages, they can apply them to current events on a local, national and global level. The rail car also comes with recorded voices and docents enabling visitors to learn from personal perspective, while considering present issues. Following the rail car, attendees can walk over to the Agave Hall Community Room to view the 'Then They Came For Us...A Revolutionary Exhibit' created by the EVJCC exploring three distinct events: the Holocaust, the treatment of Black people in Europe, and the domestic struggle for Civil Rights. The exhibit will examine the three events simultaneously across a timeline from the early 1910s to the early 1950s.. The exhibit will be on display from March 29-April 1. In addition to the railcar event, two special speaking engagement opportunities will be hosted on March 29th & 30th featuring Holocaust survivors George Kalman, author of The Risk of Sorrow: Conversations with Holocaust Survivor, Valerie Foster and others. Click here for more information about the events. The rail car will be on display at Chandler-Gilbert Community College, Pecos Campus, 2626 E. Pecos Rd., Chandler, AZ 85225 Parking lot 2 on the west side of campus near the Agave Building.